Last week the web site supporting the formerly striking L'Association employees posted a sunny message indicating that all was now well with the publisher, and that things were moving forward in a positive direction. David B. had been named President, Killoffer named secretary, and Lewis Trondheim treasurer. Forthcoming elections would put a new editorial collective in place. It was, the press release said, a time to celebrate. 1) What does this mean for L'Association? 2) What does this mean for Menu? In his open letter, Menu indicates that he will create another structure, so he will continue to publish his own works and those of other artists. Since this struggle began there have been many suggesting that the entire situation has been an attempt to simply remove Menu from a decision-making position at L'Asso. 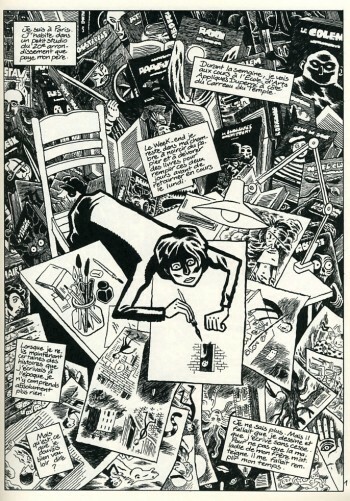 That has now transpired, and Menu will have the opportunity to begin again -- on a small or large scale -- and to promote his vision of comics free from interference. Since his vision is one that I largely share, I will be eager to see what he comes out with. 3) What does this mean for L'Asso's artists? After a period where nothing seemed to come out, I just got some new books from L'Asso last week, including new ones by Jim Woodring and Jochen Gerner. 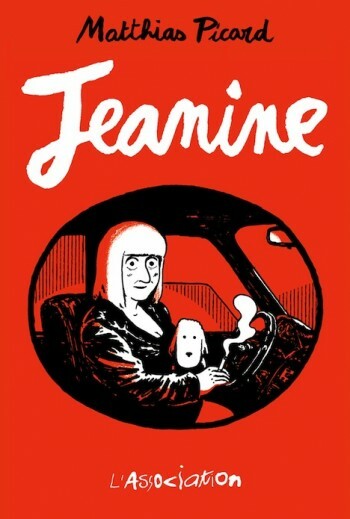 One book that was in the box was Jeanine by Matthias Picard, a new talent who is getting a lot of praise from people I really respect. The book is near the top of my to-read pile. I have to wonder, however, how these events will impact artists like Picard, who lack an established name in the French comics scene. Few publishers were as capable as L'Asso in terms of carving out spaces for these types of artists, so I hope that either L'Asso will continue this tradition or Menu's new publishing house will take in people like this. I imagine that we're about to go through a period of side-choosing that could be acrimonious. Some artists will stay loyal to L'Asso and its staff. Some are likely to return to it. Some will inevitably depart out of loyalty to Menu. These will be difficult personal choices, and it will likely force some conflict-averse cartoonists to take a public stand. The next few months will probably be hard on a number of people. 4) What does this mean for French comics generally? In the short term, it looks like we could have a newly envisioned L'Asso plus a new company run by Menu, so some would see that as a possible best of both worlds. Nonetheless, my fears for the future are largely economic. When the Comptoir des independants (the book distributor for L'Asso and many other small French comics presses) closed up at the end of 2010, they cited declining sales and an increasingly hostile retailing climate. L'Asso is now distributed by Les Belles Lettres. I don't know that there is anything in their contracts about Menu being with L'Asso, but I do imagine that the book company sees L'Asso as an integral part of their interest in comics generally. If these shifts imperil that distribution agreement, the ramifications would likely be felt by a wide range of small publishers. There are still far more unknowns than knowns in this situation, but it is hard to spin today's announcement as a good thing. This was the outcome that I imagined when I read about L'Asso's general meeting, and now that it has come to pass I feel a certain sense of gloom. My best guess is that this will be a summer of great consternation. With luck, maybe the autumn will bring positive developments for the future. As for today, it is clear that one of the most important eras in French comics publishing has come to an end.